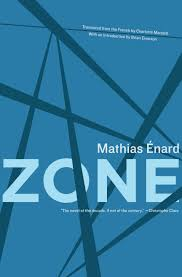 Mathias Enard’s Zone was originally published in France in 2008, and then translated into English by Charlotte Mandell for US imprint Open Letter in 2010; it has taken until 2014 for a UK appearance thanks to Fitzcarraldo Editions. It has the happy distinction that two of its most note-worthy features are obvious without the necessity of reading: that it is over 500 pages long, and that those 500 pages consist of one sentence – or, to express it differently, the first full stop appears at the end. (Well, that is if you exclude the sections of a novel being read by the protagonist which are punctuated conventionally). That 500 page sentence tells the story of Francis Mirkovic, a spy with a suitcase full of secrets which he is transporting from Milan to Rome to sell. Retirement, a woman, and a new identity await. Fascism seeps through the novel, from historical figures such as Millan-Astray, founder of the Spanish Foreign Legion and a supporter of Franco, to the (presumably) fictitious, like Harmen Gerbens, the ex-SS officer whom Mirkovic finds in Cairo, and whose file is the first to enter his suitcase. The atrocities are unending and unrelenting, recycled through history and involving Mirkovic (and his parents) as both witnesses and participants. This does, of course, make the novel remarkably mono-tone; even the extracts from the novel Mirkovic is reading, though written conventionally, treat of the same topic being the story of a Palestinian woman who loses her lover and comrade in fighting against the Israelis. 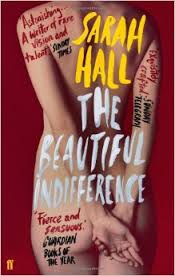 Enard’s intention seems to be to present our worst aspects, unleavened by hope or humour, in a novel that feels like a weapon itself. This is emphasised further by the novel’s circular nature: the madman in Milan asking for “one last handshake before the end of the world” replaced by the man he imagines will offer him “one last smoke before the end of the world.” Is escape for Mirkovic really possible? Is escape for any of us? 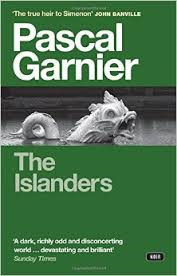 It’s easy to see why Pascal Garnier is frequently compared to Georges Simenon, and not only because of the English-speaking world’s limited supply of famous French writers’ names at its fingertips. Like Simenon, his novels are short and (apparently) numerous, and their violence is rooted in the everyday. This is not the Simenon of Maigret, however, where we shadow the enigmatic detective until the mystery is solved, but the often darker Simenon of his stand-alone novels where ordinary men and women find themselves pushed to the edge, caught in acts they would at one time have thought unthinkable: crime novels with crime, rather than detection, at their heart. This siege mentality is quickly rekindled, especially once Olivier starts drinking again. Meanwhile, much alcohol is also being consumed by Rodolphe and Roland, Rodolphe having found Roland in a church and offered to buy him all the food and clothes he wants, before inviting him back home. The foursome are soon in party mood, albeit a rather tense, uncomfortable party, but by morning one of them will be dead. This is, of course, only the brilliant set-up of The Islanders: we have still to discover the secret which binds Olivier and Jeanne together, and also witness the desperate scrabble for survival which will follow the unexpected fatality. (Garnier’s novels may be short, but a lot happens). With his acerbic wit, grotesquely fascinating characters, and transfixing plotting, Garnier is an author who should appeal, like Simenon, well beyond his genre. This is what makes Knuasgaard’s work unlike most autobiographical writing: he doesn’t attempt reflective summarising but writes in the moment, giving the impression that honesty is more important than art. It is possible, perhaps even easy, to level criticism at Knausgaard. The way in which he insists on his poor memory while at the same time recreating his life in great detail can be irritating. There is also a suspicious lack of financial detail – for much of the book neither Karl nor Linda work, but money never seems to be a concern. 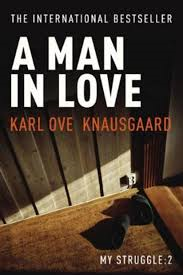 (More generally, the way in which Knausgaard seeks to lay out everyday life is to some extent undermined by its lack of contact with the world of work). However, it continues to strike me as a fascinating and valuable artistic journey – and one that can only be properly judged in its entirety. As this continues the reader begins to speculate: is the narrator a ghost? Is he simply imagining the people around him? Is he the victim of a strange hoax? Casares’ solution is both more interesting and more elegant, but to reveal it here would take away much of the pleasure of the novel: I found the opening section worked well taken at face value, thanks in part to its Robinson Crusoe template, with only the vaguest of doubts at first, and indistinct whisper that slowly becomes a nagging voice. The tipping point, where rational explanations no longer suffice, will be different for every reader, though ironically Casares’ explanation is perfectly rational (though the novel is frequently classed as ‘fantastic’ it is more properly science fiction, just like the novel whose title it echoes, The Island of Doctor Moreau). 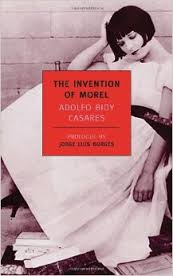 Like Wells, Casares uses his central idea to question what it is to be human. The novel also has interesting things to say about how we relate to one another, and about memory. It seems to suggest that however we try to distance ourselves from our humanity, by science or isolation, we cannot escape our nature. Skylight, published in Portuguese in 2012 and in English (translated by Saramago’s usual interpreter, Margaret Jull Costa) in 2014 is not Jose Saramago’s final novel but his first. Usually such exhumed manuscripts, raised from the grave as their author is lowered into it, are a blight on their author’s memory, juvenile scribblings that the writer themselves had consigned to a drawer long ago. Saramago had certainly prevented Skylight’s publication while he was alive, but its story is slightly different. We can at least say that Saramago felt it was worthy of appearing in print when he sent it to a publisher’s in 1953, only for the publisher to lose the manuscript. Saramago did not write another novel for twenty years; when Skylight was rediscovered in 1989, however, he was a relatively famous novelist at the peak of his powers who had no interest in an early work suddenly appearing. 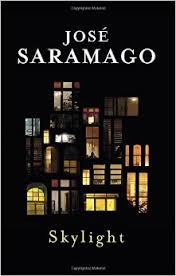 That it’s available now, though, seems fair and proper, and, although Saramago will be remembered mainly for the great novels he wrote in the 1980s and 90s, Skylight is a valuable addition to his oeuvre. Lidia is placed in direct competition with Maria when she asks her lover to find her a job; he does this as a favour to Lidia but soon his eye settles on Maria, something she does not entirely discourage. One can’t help but think this is an argument going on within Saramago, and one that is certainly not settled in the novel, with examples of both beliefs in evidence. Skylight may not be among Saramago’s very best novels, but it is beautifully constructed, told with his usual gentle empathy and fearless glance, and entertaining from first page to last. You are currently browsing the 1streading's Blog blog archives for February, 2015.